Local Assist-2-Sell Named #1 In North America AND Small Market! As a full-service real estate brokerage, Assist-2-Sell’s team of experienced brokers and agents handle everything throughout the entire process of selling a home. That includes pricing the home; advertising and marketing online and offline; showing the home to prospective buyers; working with other local brokers and agents; and managing all of the paperwork and the closing. In response to Mr. Wardell, Debbie states, “My agents and I worked very hard last year, so I was really proud to accept the #1 producing office award for the 4th year in a row. It’s something that will help keep us motivated through 2018. Last year, we focused on providing great customer service and saving home sellers a lot of money. And we’re going to keep focusing on those things again this year. We also would like to give congrats to one of our own agents, Shelley Rudolph, for being #1 Producing Agent in our MLS. That is such a great accomplishment and we all are so proud of her and her assistant, Jen Shubert." “It really is a great time to buy a home. Some of the best deals that I have ever seen are right now. The selection of houses is not as abundant as it was; with interest rates still at all-time lows, properties that are priced right are being sold in less time,” commented Lee. The company also offers a full range of services to home buyers. Lee and her agents are fully licensed and are members of the National Association of REALTORS®. 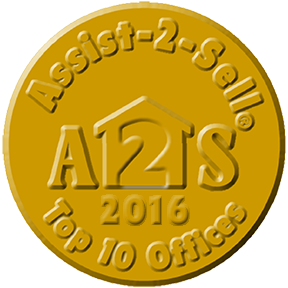 Assist-2-Sell Discovery Real Estate has been recognized for their achievement of #1 in North America for number of listings sold per year for 2014-2017. Assist-2-Sell Discovery Real Estate is independently owned and operated. To get the service you deserve, call 208.798.7822 or visit www.LewistonClarkstonHomes.com. 1 Savings based on statistics since January 1, 2000 for all Assist-2-Sell offices in North America compared to paying 6% commission. Six percent used for comparison purposes only. Commissions may be negotiable and are not set by law.